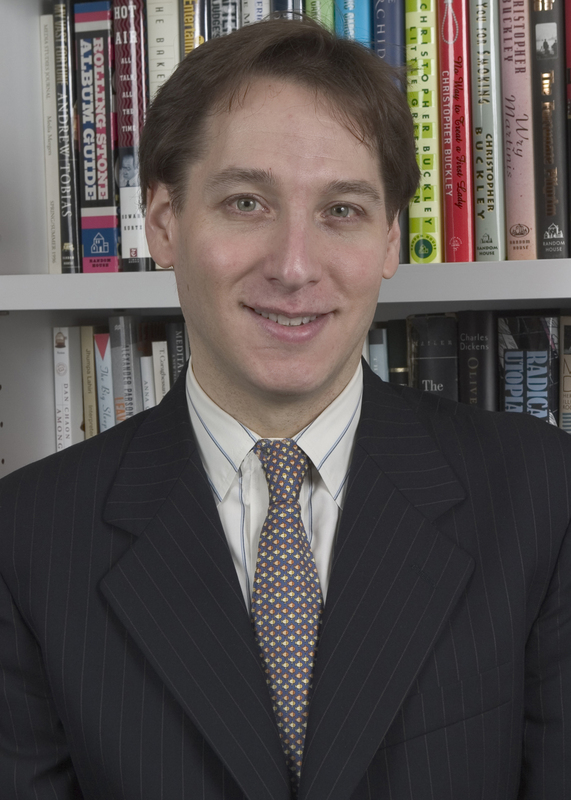 Jonathan Karp is Publisher and Editor-in-Chief of Twelve, a new imprint within the Hachette Book Group. The imprint was established in August 2005 with the mandate to publish no more than one book per month. Eight of the first twelve books published by Twelve were New York Times bestsellers, including: Boomsday by Christopher Buckley; The Geography of Bliss by Eric Weiner; Microtrends by Mark Penn; and God Is Not Great by Christopher Hitchens, a #1 bestseller and finalist for the National Book Award. Prior to Twelve, Mr. Karp compiled an equally impressive track record during his tenure at Random House where he was Editor-in-Chief. Among books he acquired and edited while at Random House are: Seabiscuit by Laura Hillenbrand; Faith of My Fathers by John McCain and Mark Salter; The Conscience of a Liberal by Paul Wellstone; Franklin and Winston by Jon Meacham; What Should I Do With My Life? by Po Bronson; The Orchid Thief by Susan Orlean; Thank You For Smoking by Christopher Buckley; Shadow Divers by Robert Kurson; Never Have Your Dog Stuffed by Alan Alda; and The Dante Club by Matthew Pearl. He is a 1986 graduate of Brown University and has been published in The American Scholar, GQ, and The Washington Post. He is a member of the Council on Foreign Relations and lives in Manhattan. He took time recently to talk with Future Perfect Publishing about Twelve’s unique publishing model and his views on the industry. FPP: What motivated your idea to publish just twelve titles per year? FPP: Could you contrast your experience at Random House and Twelve? JK: I started my career at Random House and worked there for 16 years, so I will always carry its editorial values and standards with me. Really, the only difference is that I am the publisher of TWELVE and have more responsibility for the books themselves. FPP: You’ve talked about the book publishing industry returning to a focus on books “built to last.” What, in your view, characterizes a book with this kind of durability? FPP: Twelve is now entering its third year. Looking back over the time since its formation, is there anything you would have done differently? JK: There are a couple of books I wish I’d acquired, if I hadn’t been so damn picky (or such a big tightwad) but this is a perennial problem of mine. Years ago, I was among those who urged Eric Schlosser to turn his magazine article about fast food into a book, but then I was too miserly to win the auction for it. That’s one of my great regrets. FPP: How does publishing just twelve books per year affect the way Twelve operates? JK: It makes it difficult for us to take vacations because we always have something about to be published! FPP: Does the limited number of titles create greater pressure – e.g. with respect to title selection and marketing? JK: “Pressure” is a self-imposed state of mind. I’ve rarely felt it in publishing. Let’s face it: This is one of the softest jobs in the world. We sit at a desk all day and read (even though we’re mostly reading email). I edited John McCain’s book about his five years of imprisonment in Vietnam. Now, there is a man who was under pressure. In fact, I’ll bet he’s still under a bit of pressure today. FPP: How do you measure success for a title published by Twelve – both in a quantitative and qualitative sense? JK: My highly subjective measurement of success is rave reviews for the book and royalties for the author. FPP: What do you see as the biggest challenges for publishers today and over the next few years? What do you envision as the biggest opportunities? JK: The biggest challenge will be to build word of mouth in a media environment that is paying less attention to books. We need more influential voices online who can create a groundswell of interest in new works and underappreciated writers. We need more critics like Michiko Kakutani and Janet Maslin and Jonathan Yardley — reviewers whose recommendations carry weight with readers. The opportunity is for publishers with a clear and original editorial vision to reach audiences directly. For example, Chelsea Green has an environmental mission and has published a number of highly influential books. They should be considered a model for independent publishers. FPP: How would you most like your contribution to publishing to be remembered? JK: As a champion of good books. FPP: Have you ever thought about leaving publishing to become a full time writer.? JK: A common response from successful authors, when asked to name their favorite book, is: “They’re all my children.” I guess I believe in population control. I’m not even sure that writing full-time is ideal. A lot of writers teach, or are journalists, or do other things to bring balance and creative spark to their lives. That said, if someone is willing to pay you money to write, it’s certainly a good way to earn a living. FPP: What would you like to do after Twelve? This entry was posted in Interviews, publishing strategy, readership strategies and tagged Jonathan Karp, publisher, Random House, Twelve. Bookmark the permalink.